Probably the best thing about the Garmin inReach Explorer+ is that it can get you out of a nasty situation. For example, if you were to find yourself stranded in the middle of the woods, at night, without any resources and without any bullets or arrows left to defend yourself from predators, you could simply use the communicator to get in touch with a search and rescue center. In short, this product can actually save lives in certain situations. As is the case with many multi-purpose devices, the inReach Explorer+ might fail to impress seasoned hunters because it doesn’t come with the same functionalities as a GPS made specifically for this application. However, it does include a variety of routes, waypoints, and you can set your breadcrumb trail to get back home safely if you’re feeling unsure about your surroundings. 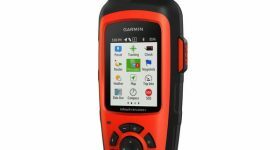 Besides, compared to another model designed by Garmin, the inreach SE+, this one includes weather info, preloaded topographic maps, as well as a barometric altimeter, accelerometer, and a compass. Therefore, the likelihood of you not finding your way when you’re in the wild is very slim. The display of this navigator and communicator is sizeable enough to be used even by people who do not feel comfortable utilizing smaller sized devices. It is backlit, which is a benefit in itself, since you will be able to see and interpret the information displayed both when the sun is shining brightly in the sky and at night. One of the areas where this device really shines is communication. With the 100% global Iridium satellite coverage boasted by this product, you are able to benefit from two-way text messaging. However, we’d like to note that based on some reviews that we have gone through, it seems that this model works similarly to an early-2000 cell phone when it comes to texting. Fortunately, predictable text is available and it can help you out a lot. If you’re really in trouble and you’re looking to get in touch with someone so that you’re rescued, you can use the inReach Explorer+ to send out an SOS message to a 24/7 search and rescue center. That definitely comes in handy under a variety of circumstances, doesn’t it? And even if you do not need this functionality, it still gives you the reassurance you might need. Thanks to the Explorer+ communicator, you can let your friends and family members know where you are. Your buddies can track your progress on their mobile devices or computers, using the MapShare portal. At preselected time intervals, this device can send them waypoints so that your progress and location are viewable to your followers. Another aspect you might want to know about is that you can use a free mobile app with this communicator to download maps and NOAA charts, for example. It’s called Earthmate and it is available for download for both iOS and Android devices. Use it to access weather info, but also color aerial imagery. We took the time and analyzed some of the feedback gathered by this unit in the past to see whether it is user-friendly or not. Based on what we found and considering that it is a handheld navigator and communicator, you will have no trouble getting the most out of its features. It’s light and convenient, and it weighs in at just 0.5 lbs. Also, the screen is slightly smaller than that of similar devices such as the GPSMAP 64st, for example, which measures 2.6 inches. That of the inReach Explorer+ measures just 2.3 inches. Apparently, this device is capable of charging reasonably fast and it can provide you with more than enough hours of use. If you intend to go on a multi-day hunting trip, however, we would recommend bringing an extra power source along so that you can charge the battery. It’s better to be safe than sorry. 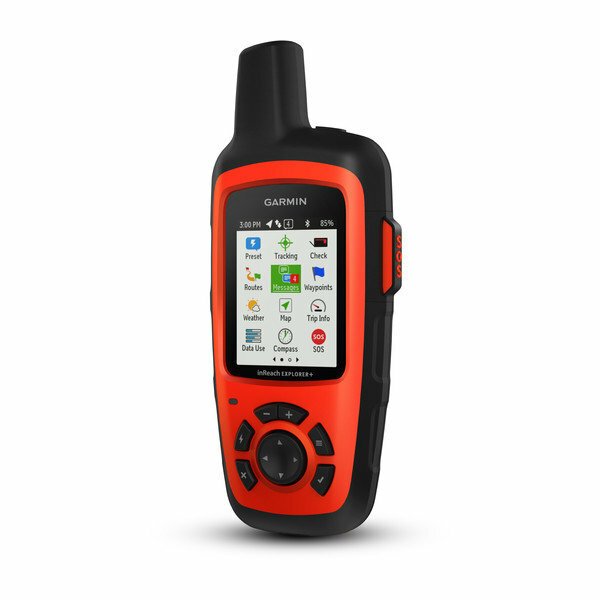 Compared to several other communicators available for sale right now, the inReach Explorer+ actually offers the benefits of good performance. It is reliable and it comes with an auto tracking capability. The text messaging available from anywhere is a feature that will help put your friends’ and family members’ minds at ease. You can, of course, also use it for situations when you are not in danger, which obviously makes it have great value for the money. Lightweight, easy to use, and with a great battery life, this unit seems like it’s worth giving a shot.